Yes. Oh, yes. We are off to a mighty good start. This is exactly where we want to be: right out on top. I can’t be the only one sensing some familiarity with this whole situation. So much time has passed, and so much has happened since then. We are a completely different team now in innumerable ways. But we are good. And we can do this. So the first game of the World Series is in the bag. Oh, yes, it is indeed good to be back. We started out very solidly. Ellsbury led off the first with a walk. Victorino lined out, Pedroia singled, and Papi reached on a force attempt with a little help from a missed catch to load the bases. And then Napoli hit a bases-clearing double. That was the best outcome short of a grand slam. Three runs on one swing, and he looked really comfortable executing that hit. Excellent. Drew and Ross hit back-to-back singles to lead off the second. Then Ellsbury flied out and Victorino reached on a fielding error to load the bases. Drew scored on a single by Pedroia. That’s not exactly the big response to a bases-loaded situation I was hoping for, but it’s better than nothing, especially since that run increased our lead to four and since Papi followed it up with a sac fly that scored one more. We took a long break before resuming our scoring in the seventh with some long ball. The Cards made three pitching changes in that inning alone; they made the third one after Pedroia reached on a throwing error. And then Papi welcomed the new pitcher by homering on his very first pitch. He hit it all the way out to right center field. It was a massive home run. It was beautiful. As was the insurance we added in the eighth, when Nava doubled, moved to third on a wild pitch, and scored on a sac fly by Bogaerts. For Lester, it was a great performance. He had the bases loaded with one out in the fourth but grounded into a double play. That was the worst of it, and he didn’t even allow a single run. He was quite the laborer; he was really committed to keeping his head down and grinding through. This is the great thing about Lester. Even when it’s not easy for him, he still manages to make it work. He very nearly went the distance, too. Two outs into the eighth, he was relieved by Tazawa, who ended the eighth. Dempster pitched the ninth. Together, our staff almost pitched a shoutout; Dempster proved to be the undoing when he gave up a solo shot on his fourth pitch. But aside from allowing a single, he put the Cards away after that. And that was a wrap. Game one is done, 8-1. We now lead the series. I want it. Let’s get it. In other news, the Pats dropped a painfully close one to the Jets, 30-27. Welcome back, Jacoby Ellsbury! And just in time, too. I’m telling you, I’ve been waiting for this for a long time. We’ve played so well without him; imagine what we can do now that he’s back. He looks comfortable, controlled, and, most importantly, very, very hungry. Ellsbury hit his seventh pitch, the seventh pitch of the game, for a single. 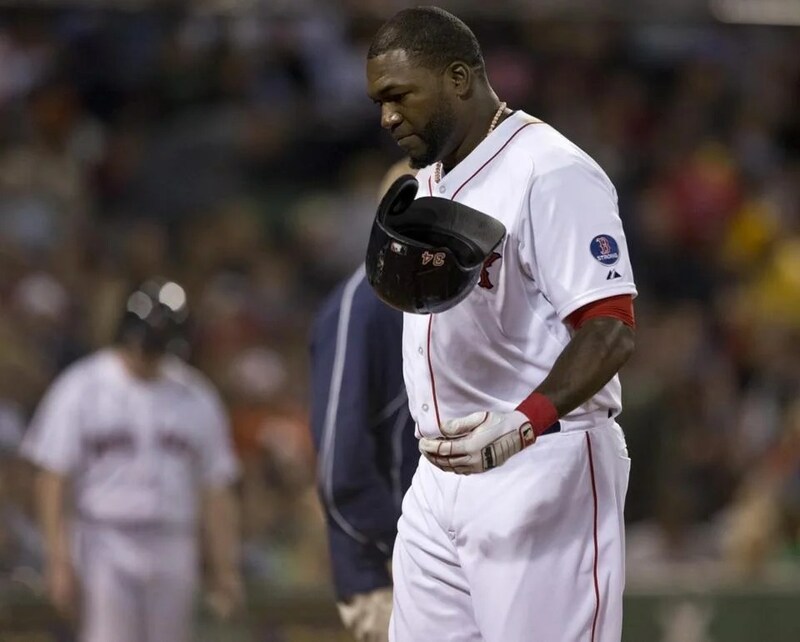 Then Victorino singled, Pedroia grounded into a force out, Papi doubled in both of the baserunners, Nava lined out, and Papi scored on a single by Salty. And with two outs in the third, Nava singled and scored on a double by Salty. Things got powerful in the fourth when Peavy actually doubled, which was so cool, and Ellsbury walked, and Victorino went yard on a full count with one out. It was a monster of a home run all the way out to left for three runs. 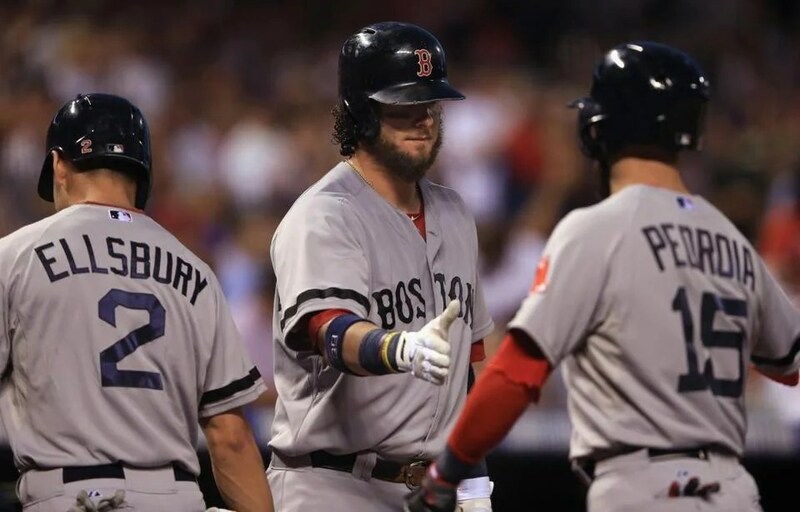 Salty singled to lead off the fifth, and then Drew doubled, and it was Middlebrooks’s turn to turn it on to right field. For him, it was a slider, the seventh pitch of the at-bat. And last but not least, the eighth. 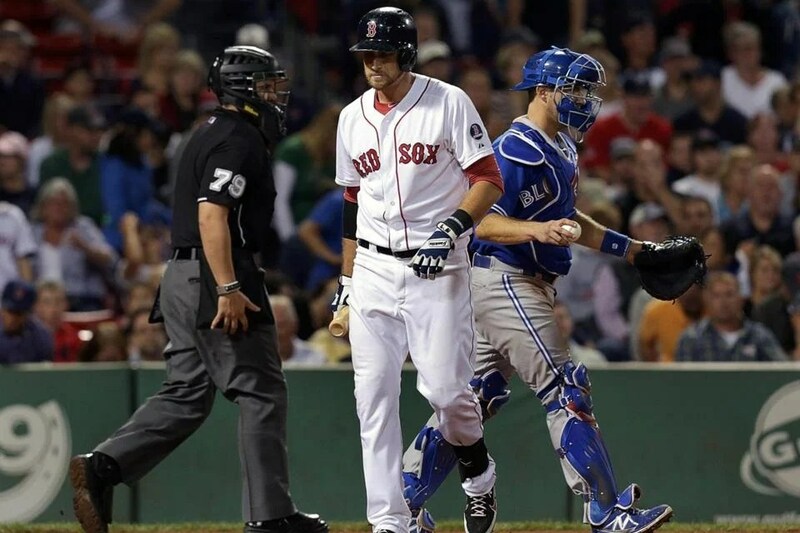 Victorino singled, Pedroia flied out, Snyder got hit, and Nava singled to load the bases. Salty singled in Victorino to score a run and keep the bases loaded. Drew popped out, and then Middlebrooks was at it again. He took a fastabll for a strike, fouled off a curveball and another fastball, and got a curveball that missed. But Middlebrooks picked up on it and made the Rockies pay. We were already well on our way to burying the Rockies under a mountain of runs (pun intended). But when that ball ended up beyond the left field fence, the deal was officially sealed. Four runs. One grand slam. Epic. Unfortunately, it was kind of an off night for Peavy. 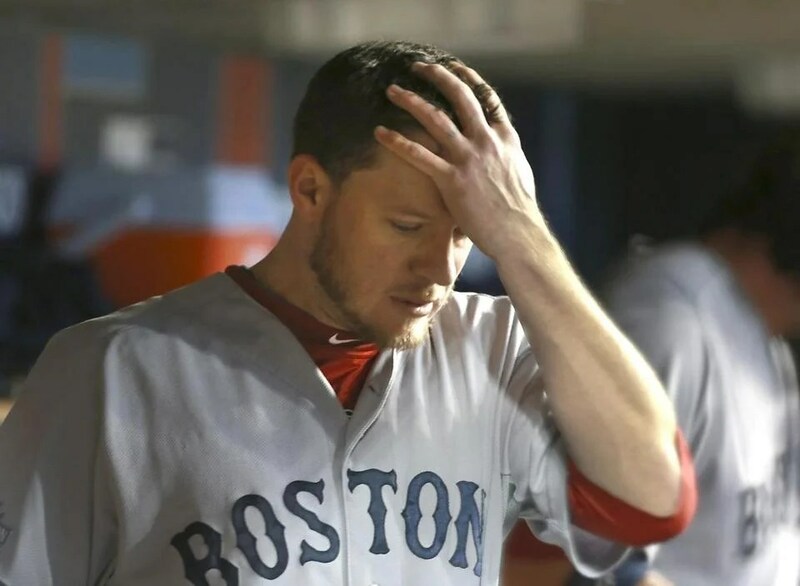 I should say it was kind of a mediocre night for Peavy. With one out in the second, he gave up a solo shot followed by a lineout, a walk, and an RBI double. Then in the third, he gave up two singles and a walk to load the bases with nobody out. One strikeout later, he gave up a successful sac fly and an RBI single. He gave up a walk followed by an RBI double in the fifth. Peavy’s night was over after the sixth; Tazawa pitched the seventh, Breslow pitched the eighth, and Dempster pitched the ninth. The final score was 15-5, which is the same score with which we won Game Three of the World Series in 2007 except with five more runs for us. It is what it is. Sometimes pitchers don’t get the run support they need, and sometimes they do. Sometimes hitters don’t get the pitching support they need, and sometimes they do. It’s the nature of the game. I want to keep our momentum going right into Soxtober, but I guess it really is true when they say you can’t actually win them all. Buchholz looked solid as he cruised through the first third of the game, facing the minimum in each of the first three innings. But we lost the game because he got into trouble in the fourth. He gave up a single, and after inducing a lineout, he gave up another single followed by an RBI double, a single, an RBI single, and an RBI throwing error, if you could call it that, as Buchholz tried to pick off the runner. Despite giving up a single and a walk in the fifth, he escaped unscathed. He gave up a walk in the sixth and that was it. All in all, it was a great start when he wasn’t busy giving up all kinds of runs in many different ways. Britton came on for the seventh. 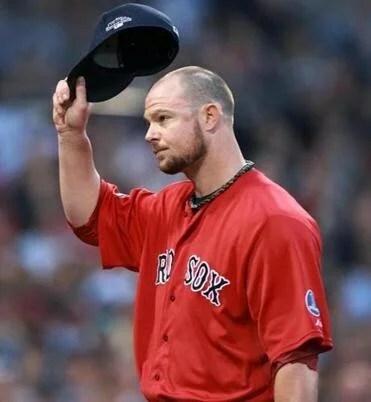 Dempster actually came out for the eighth and almost had an eventful inning but ultimately pulled it together. Thornton came on for the ninth and made the situation worse by giving up another run on a walk-double combination. Unfortunately, this was just one of those nights where we couldn’t come up with enough run support. We had scoring opportunities here and there, but we didn’t score our first run until the sixth, and then we didn’t score enough. Drew singled to lead off the sixth and scored on a single by Gomes. With one out in the seventh, Bogaerts reached on a fielding error, moved to third on a wild pitch, and scored on a groundout by Ross. I was hoping that the two ones on the scoreboard would turn into three ones, and then the game would be tied, but it didn’t happen. We lost, 4-2. Man, that’s crushing. That’s awful. This game was so close. We were neck-and-neck through it. In the end, we just didn’t come up with enough runs. I thought we could rally in the bottom of the ninth, tie it up at three, and then maybe win it in extras if we couldn’t get it done in nine. But it didn’t happen. We scored first when Pedroia hit a solo shot on the fifth pitch in the bottom of the first. We made it two-zip in the fourth; Carp led it off with a flyout, but then Salty reached on a fielding error, Drew walked, they both executed a double steal, and between a sac fly by Bogaerts and a fielding error, Salty scored. Dempster let the Orioles pull within one in the fifth thanks to a walk-groundout combination. Then he let the Orioles tie it up when he gave up a solo shot to lead off the sixth. In the end, he gave up two runs on three hits over the course of six innings. 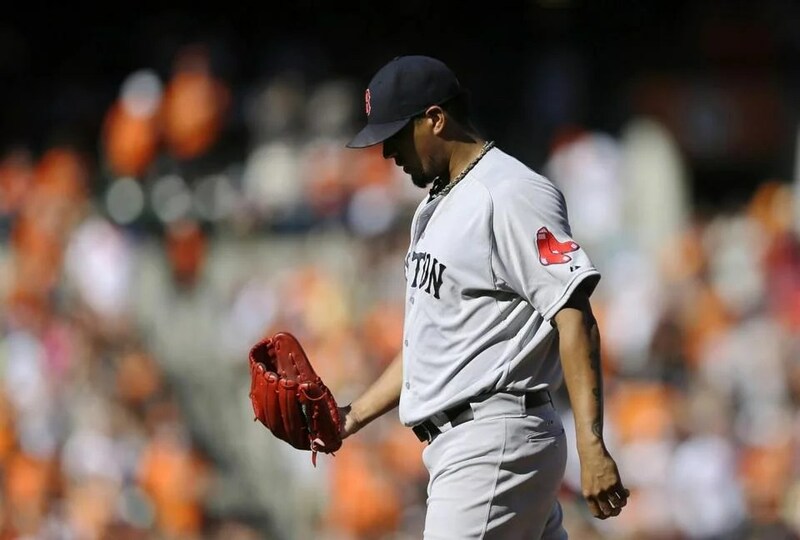 Workman pitched the seventh and gave up two hits in the eighth, Breslow pitched the eighth through three outs, and Uehara pitched the ninth and promptly blew his save. He gave up a triple, and then the runner scored on a sac fly. And we lost, 3-2.